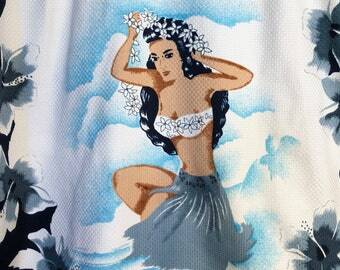 This is a beautiful vintage Hawaiian dress! 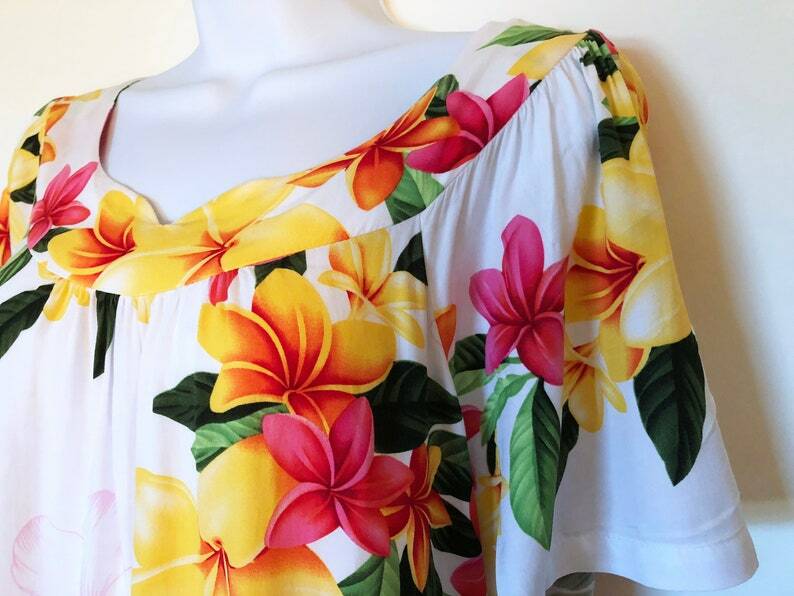 Bright white with bright pink and yellow hibiscus! * Please check the measurements carefully. I can not accept returns for clothing not fitting. This dress is in excellent condition. It is a lightweight rayon and hangs really nicely. You could wear this as is or it would look adorable with a belt! Blue Hawaii Necklace - Miss Atomic Sample Sale - FREE SHIPPING! Blue Hawaii Ring - Miss Atomic Sample Sale - FREE SHIPPING!